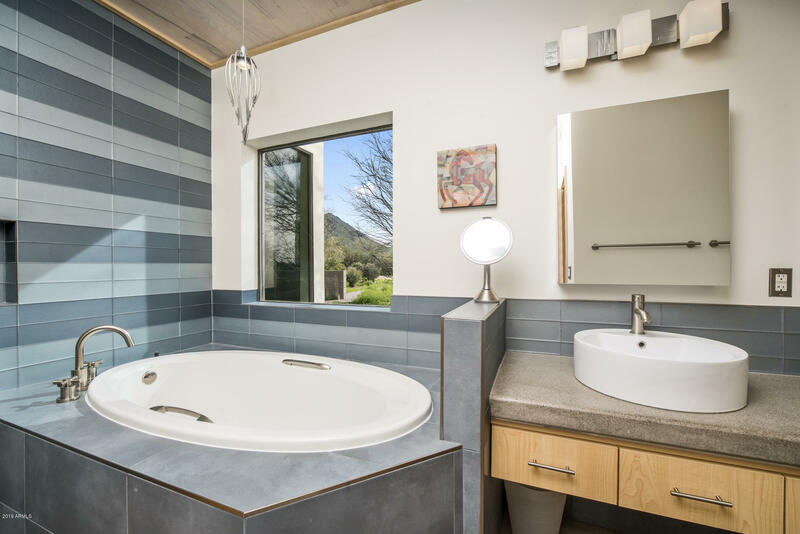 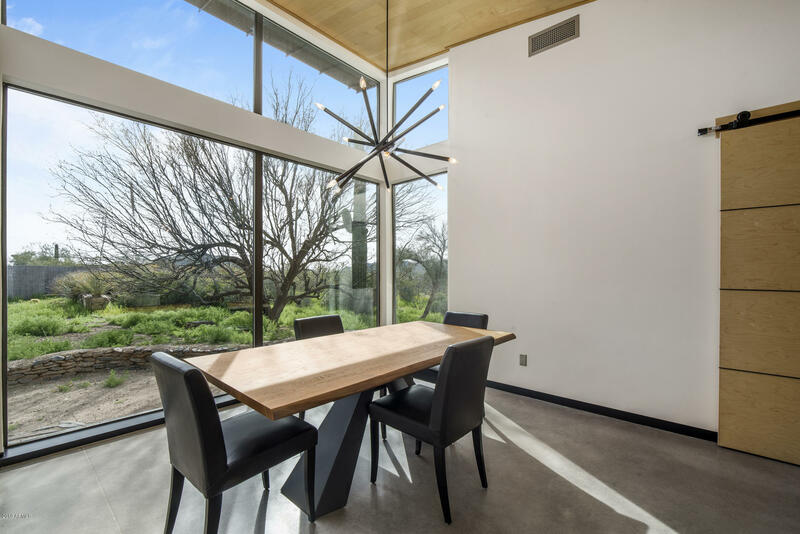 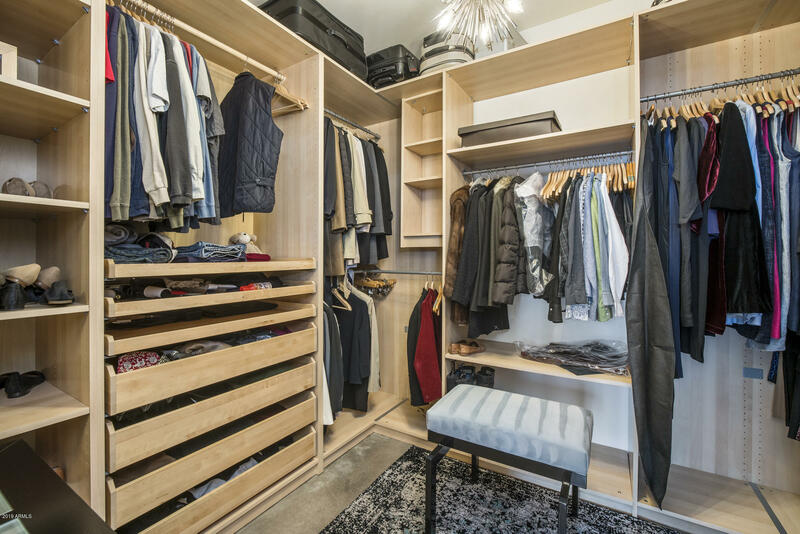 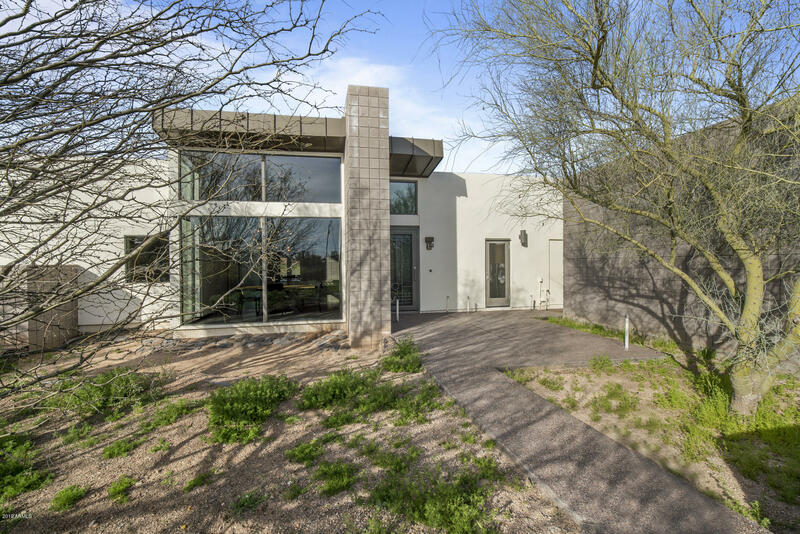 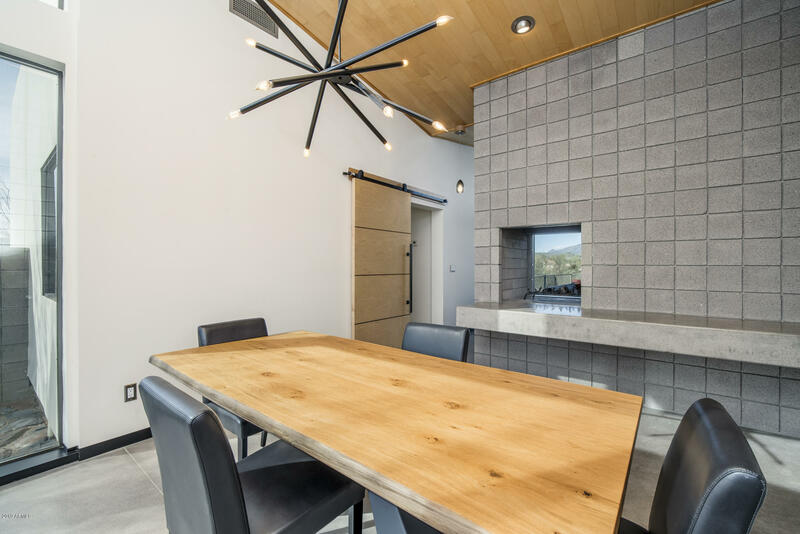 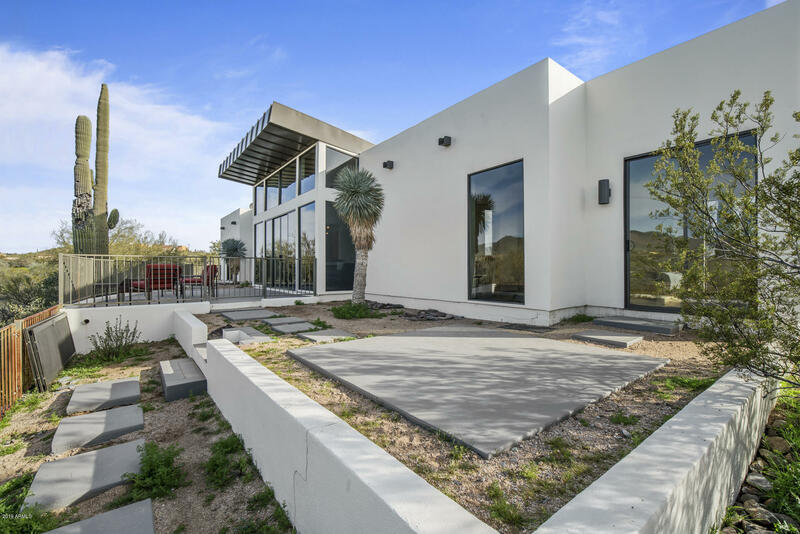 Contemporary custom home rebuilt in 2003 and remodeled in 2016-17. 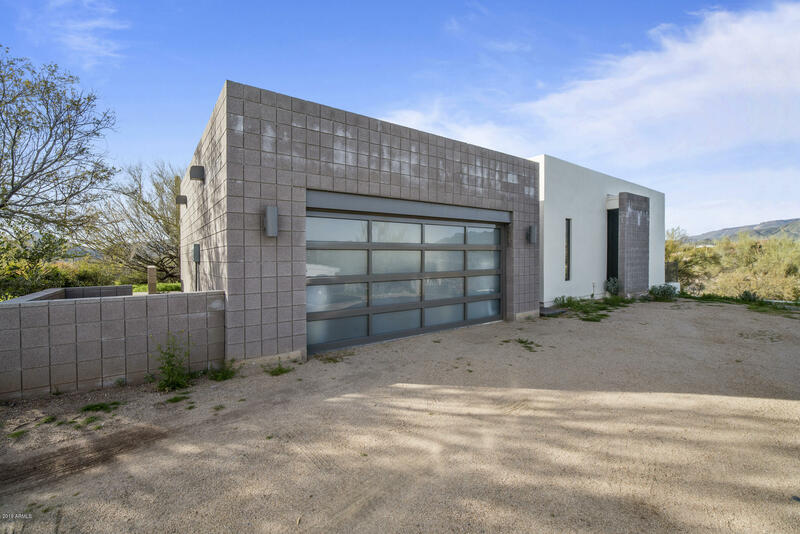 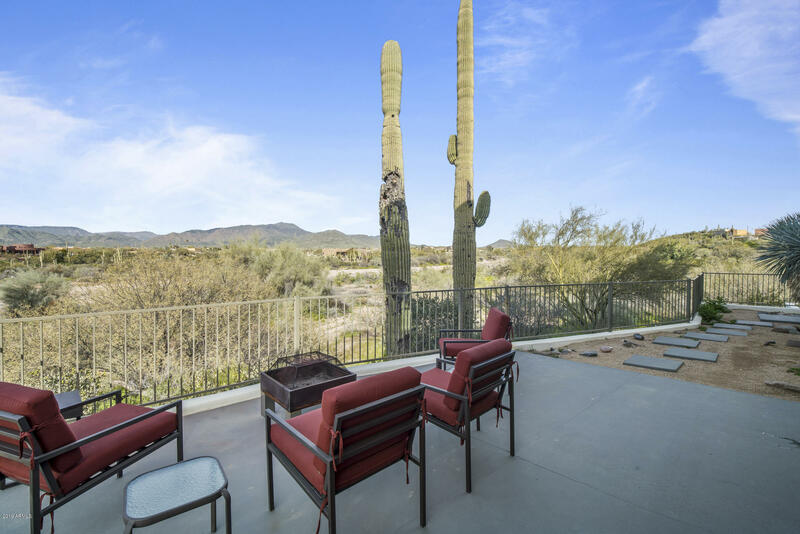 Truly one of a kind home in Cave Creek w/amazing mountain views! 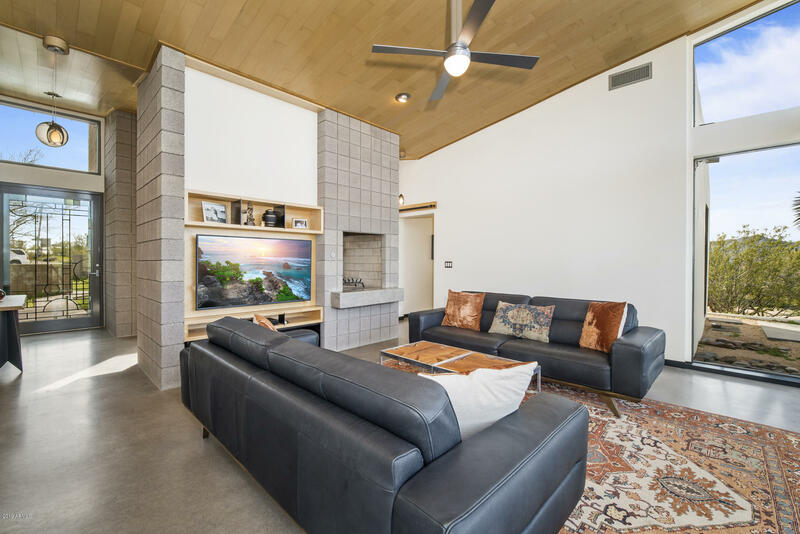 This 3 bedroom, 2.5 bath home features a formal dining room & living room divided by a 2-way fireplace. 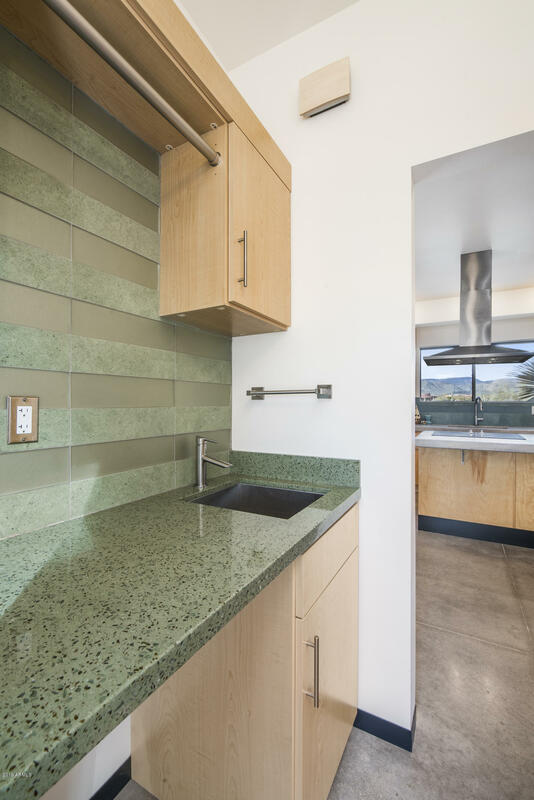 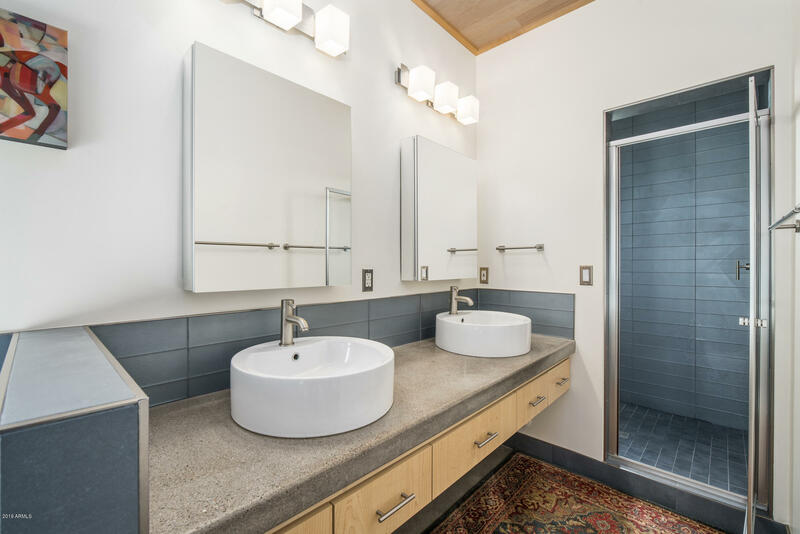 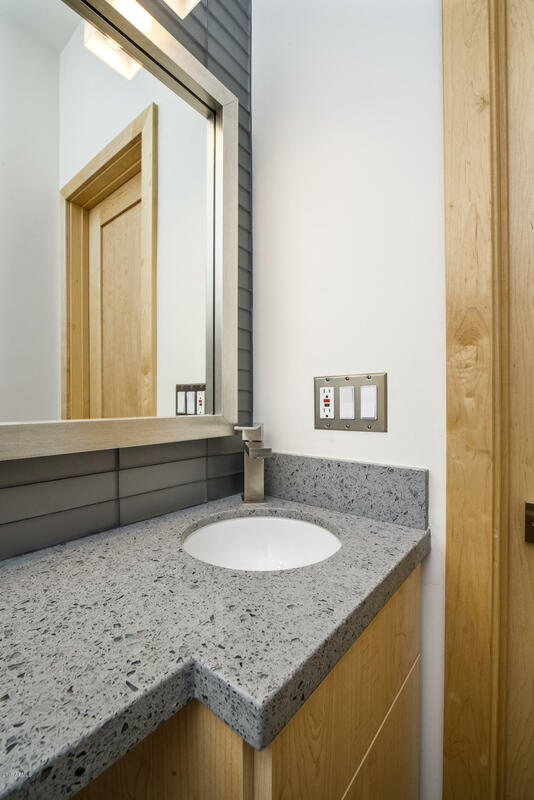 Concrete floors, concrete or recycled glass counter tops & glass subway tile backsplashes. 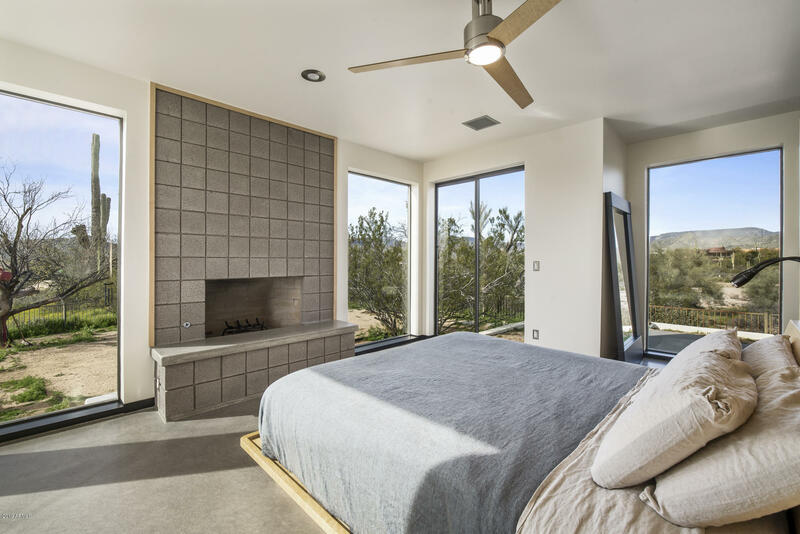 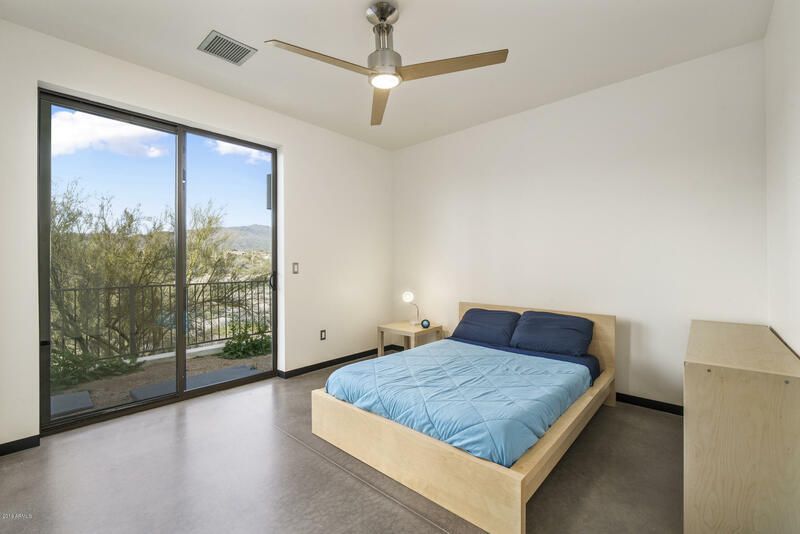 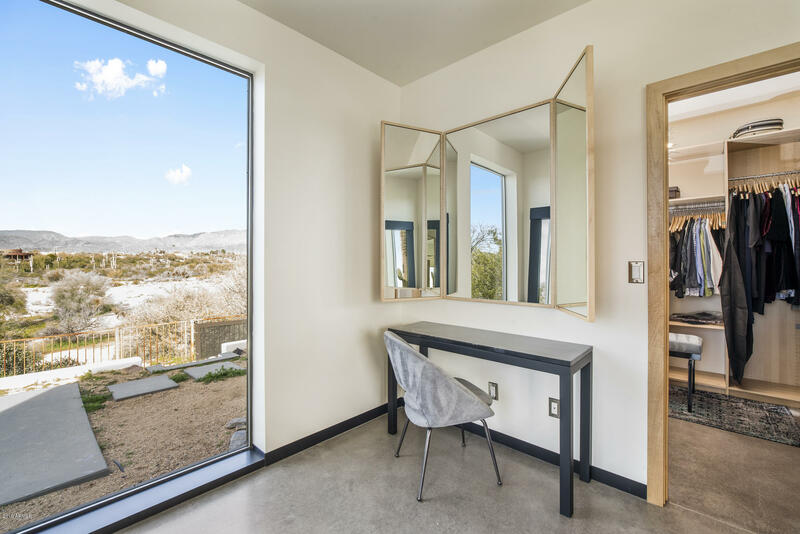 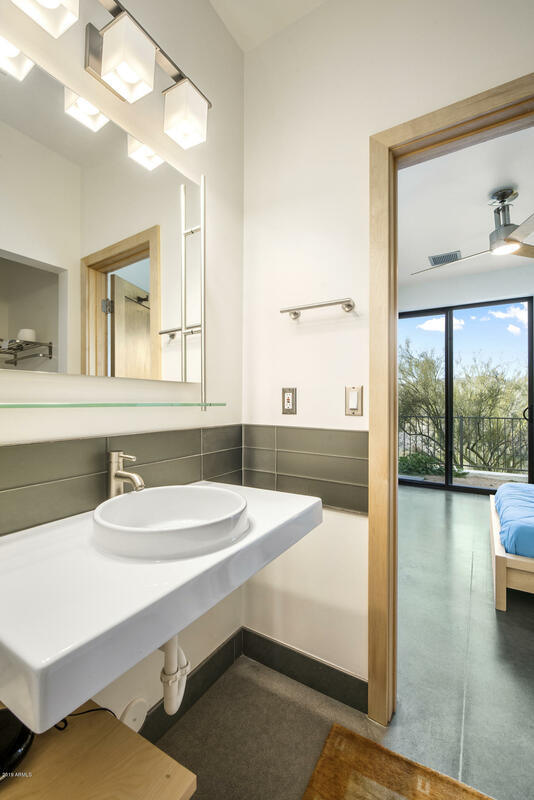 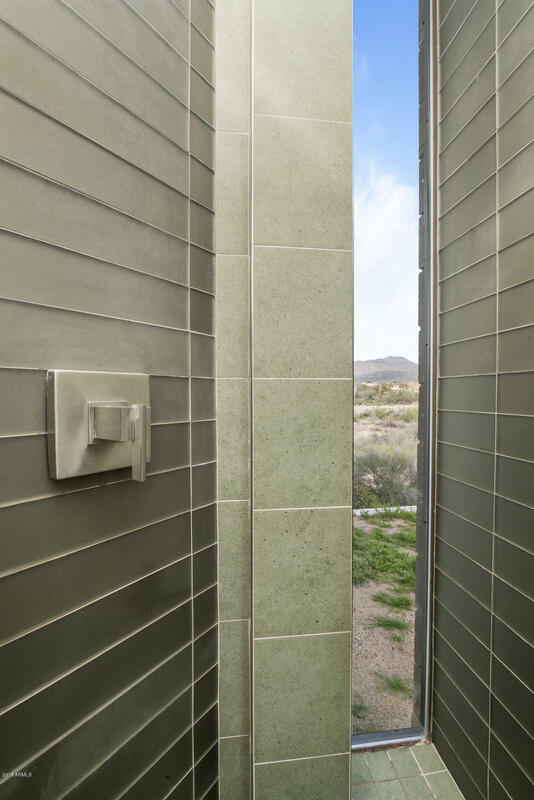 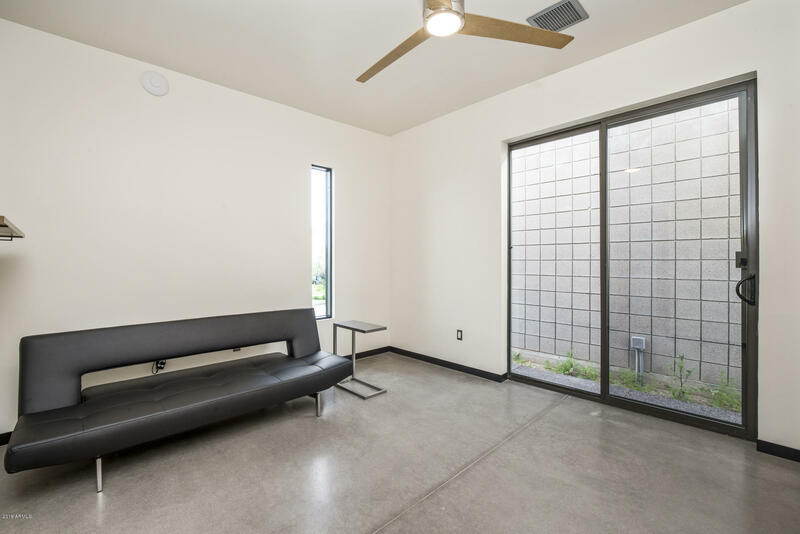 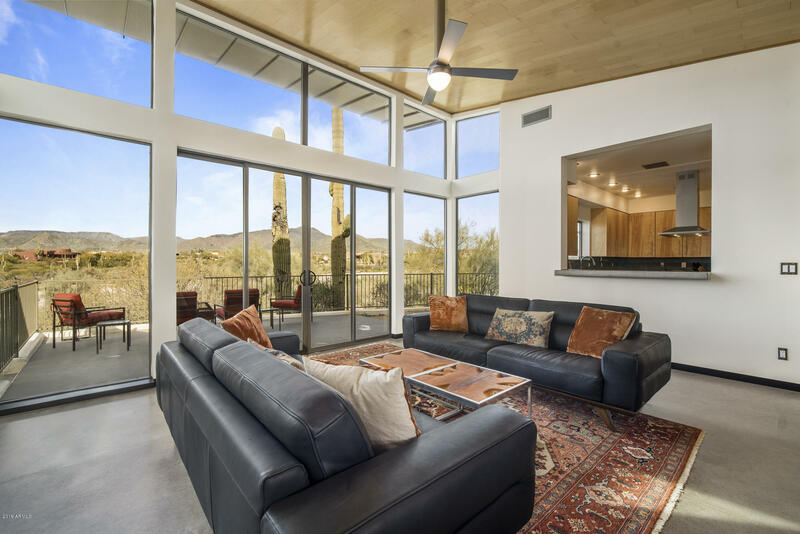 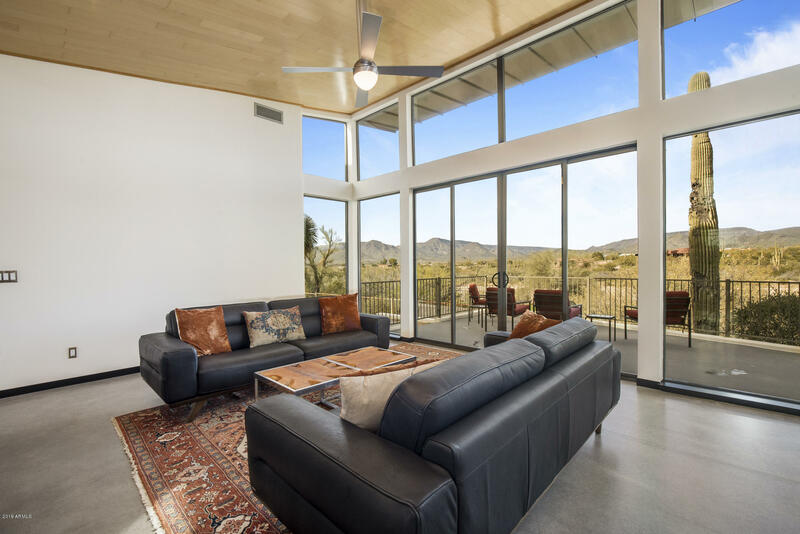 Floor to ceiling windows capture the surrounding mountain ranges and the high Sonoran desert. 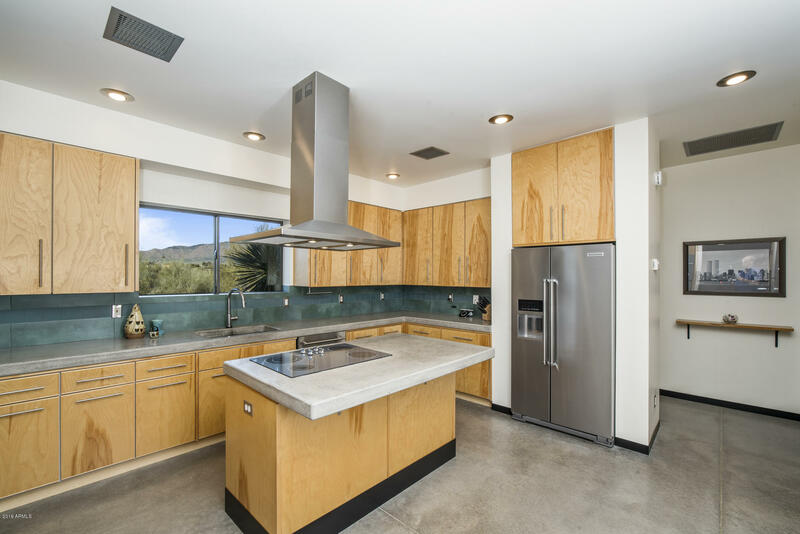 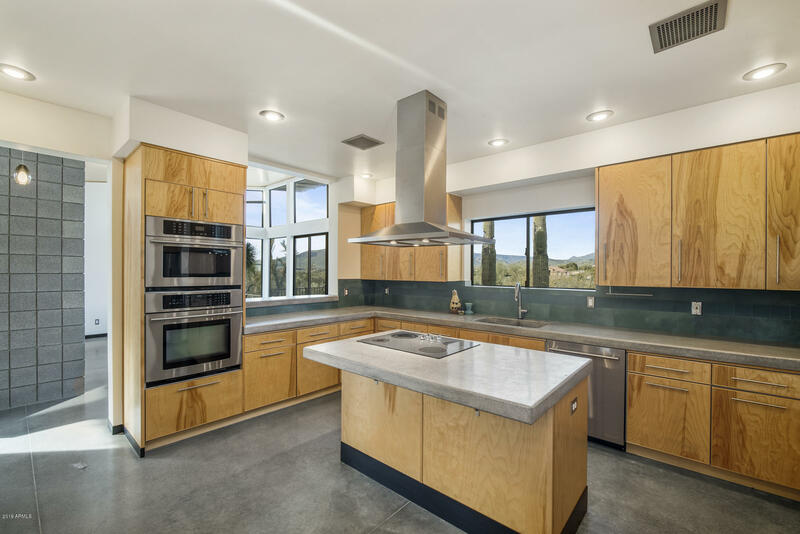 The kitchen features stainless steel appliances & custom cabinetry. 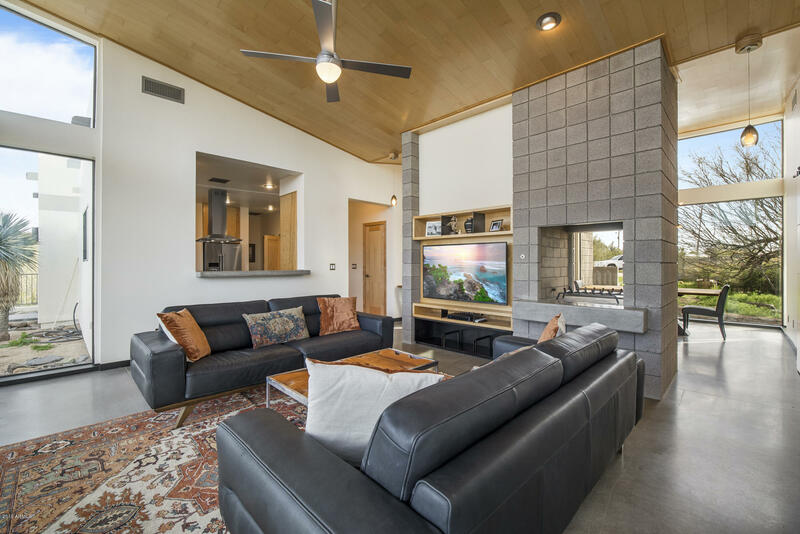 Wood plank ceiling, block concrete fireplace & built-in entertainment center are focal points of the living room. 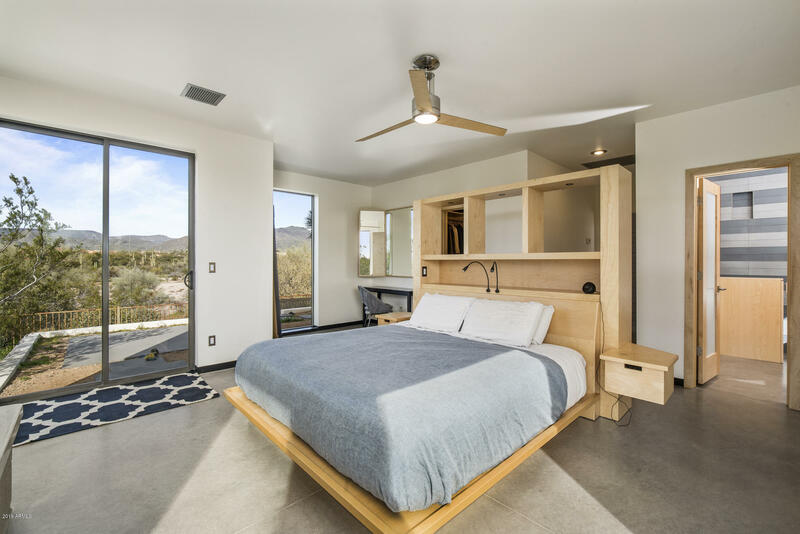 Master suite has a barn door entry. 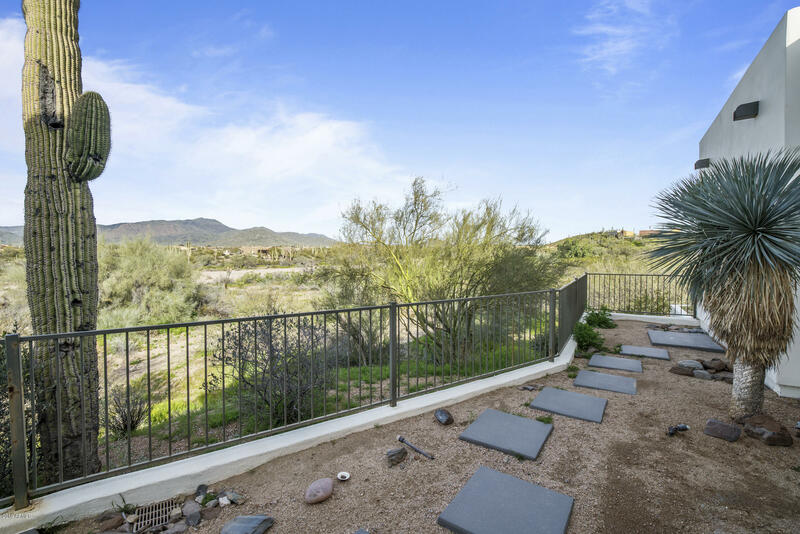 Outdoor patio and large fenced side yard. 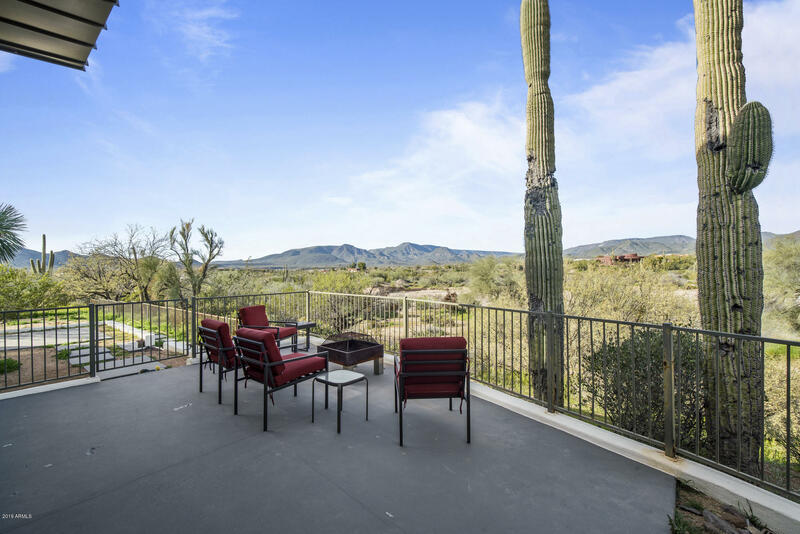 Situated on just over an acre, this property is close to town yet still remote to enjoy privacy and solitude!